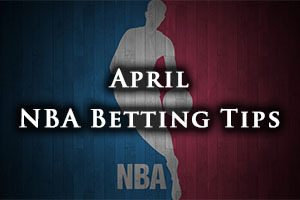 There may not be a massive number of NBA games to look forward to on Thursday the 2nd of April but there is still a lot of quality on show. There were a huge number of games on Wednesday night and this week has really seen the push for the playoffs take off. The Hornets overcame the Pistons in Charlotte, winning by a score of 102-78 and the Wizards overcame the 76ers in Washington, winning by a score of 106-93. The Knicks lost out narrowly to the Nets, the Brooklyn side grabbing a 98-100 win in New York while the Bucks defeated the Bulls by a score of 95-91 in Milwaukee. The Rockets held firm to defeat the Kings, winning by a score of 115-111 in Houston and the Clippers grabbed a big road win in Portland, defeating the Trail Blazers by a score of 122-126. The Magic slumped to a home loss to the Spurs, the reigning champions winning 91-103 and the Celtics won in Boston, defeating Indiana by a score of 100-87. The Thunder slipped to defeat against the Mavericks in an epic encounter with the team from Dallas winning by 131-135 and the Raptors grabbed a road win away to the Timberwolves, winning 99-113. The Jazz held firm against the Nuggets, winning by a score of 84-98 and the Pelicans were comfortable winners in Los Angeles, defeating the Lakers by a score of 92-113. The Western Conference has been busy early on this campaign and there are already six playoff spots taken care of. It looks as though the Mavericks will be the next team to clinch a spot in the postseason and with a three game run at home coming up, there is every chance that they could book their spot very soon. However, it is not an easy run of fixtures for the Dallas side, so they may not achieve the outcome they are looking for in a short period of time. After the Rockets, the Mavericks will have to take on the Warriors and the Suns but if they can come through that run of games with success behind them, they can feel pretty confident about their chances of being in the playoffs. The Rockets hold a 51-24 record so far this season and this includes a 22-14 record on the road. They have managed to win 8 of their last 10 games, and there is no denying that the Rockets are in pretty good shape at the moment, which could delay the Mavericks plans to book their place in the playoffs. The Mavericks have a 46-29 record at the moment, and this includes a 25-12 record at home. In their last ten outings, the Mavericks have racked up 5 wins and 5 draws, so the team aren’t exactly firing on all cylinders at the moment. With respect to average points for, the Mavericks have the edge by 104.5 to 103.5 but for average points against, the Rockets hold the lead by 100.2 to 101.3. Taking the Mavericks with a -2 handicap, at odds of 1.90, is likely to be a decent bet for this game and one that the Dallas fans will be hoping to see come true. Bet Now! This is the time of year that LeBron really comes to life and he has been seen putting in the hard work and effort on the practice court. When a player with the skill and calibre of LeBron James is seen grinding it out on the court with the coaches, you know that there is a lot of stake. We are in April and if the standings in the NBA stay the way that they are, James will be facing the Heat in the first round of the playoffs. This will be a big wrench for the player, after all, he led the Heat to four straight finals and two titles in his time in Miami, and he still has a lot of friends there. However, he knows that he has a chance to push himself and his own team forward, and this game will be crucial in ensuring that the Cavs have a dominant hold over the Heat. You can expect LeBron to be on fire for this one. The Heat have a 34-40 record so far this season and this includes a 16-21 record on the road. They have a 5-5 record in their last 10 games, so they aren’t exactly brimming with confidence as they head to Cleveland. 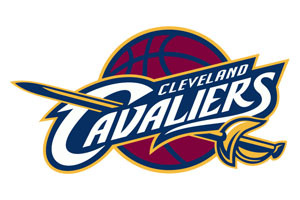 The Cavaliers hold a 48-27 record, which includes a 27-9 record at home and they have been strong in recent times. This can be seen with the fact that they have an 8-2 record in their last 10 outings, so there will be big expectations on the Cavaliers for this game. With respect to average points scored, the Cavs hold the edge with a 103.3 to 94.6 record and for average points against, Miami holds the lead by 96.8 to 98.5. Taking the Cavaliers with a -12 handicap, at odds of 1.90, is likely to be a sound bet for players in this game. Bet Now! The Warriors know that they are in the playoffs already and their next eight games will likely see them rotate their squad and start to fine-tune their team for the postseason. This isn’t quite the same for the Suns who know that unless they start pulling wins together soon, they could see their season coming to an abrupt end rather quickly. It will be difficult for the Suns to achieve anything in this game as they face a Golden State side who are looking for an 11th win in a row. The Warriors have created a franchise record for the number of wins and they are guaranteed to be the top seeds in the Western Conference. This hadn’t blunted the team in recent times though, they were a bit sloppy on the road in Los Angeles on Tuesday night, falling 17 points behind to the Clippers, but they bounced back to grab a 106-110 win. The Suns hold a 38-37 record so far this season and this includes a 17-19 record on the road. The Suns have a 5-5 record in their 10 most recent games. The Warriors are on a 61-13 record, including a 34-2 record at home, which is formidable. The 10 game record for the Warriors stands at 10-0 so they are clearly coming into this game brimming with confidence. The average points for tallies see the Warriors lead 109.8 to 103.5 while for the average points against, the Warriors lead 99.0 to 103.6. Taking the Golden State Warriors with a -11.5 handicap, at odds of 1.90, is likely to be an excellent bet. Bet Now!